Unlock iPhone 7 Plus by IMEI. Fast, Safe & Permanent - doctorSIM U.S.A. The iPhone 7 Plus may look like the iPhone 6 and iPhone 6S models launched in the past, but inside it's a very different story. With a 40 percent faster microprocessor, more memory, a longer-lasting battery, and resistant to dust and water... What more can you ask for? Although similar to the iPhone 7, the iPhone 7 Plus is slightly larger at 5.5 inches and has two rear cameras, one a wide angle lens and the other a telephoto lens with greatly enhanced zoom capabilities. One of the new models most distinguishing features is the removal of the headphone jack and the inclusion of a pair of Lightning EarPods which connect through the charging port. The iPhone 7 Plus is also available in five different colors: the original pink, gold, and silver as well as two new shades of black. 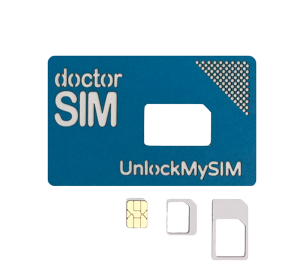 To unlock your iPhone 7 Plus with doctorSIM and use it on any network in the world, just fill in our online form. 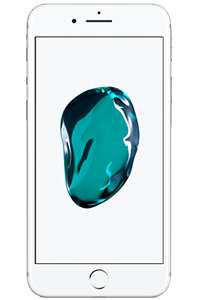 Within a guaranteed timeframe, we'll send you simple instructions on how to complete the process of unlocking your iPhone from its original network provider. Check that your iPhone 7 Plus isn't already unlocked. Use our Locked/Unlocked Status to find out in minutes if your iPhone is still locked or can be used on any GSM network right now. Nonetheless, if you have any difficulties unlocking your iPhone 7 Plus our customer support team is available via telephone, e-mail or chat 24 hours a day, 7 days a week to answer your questions. More than 18,579 reviews and ratings by real customers. Unlocking iPhone 7 Plus with doctorSIM is rated 4.8 out of 5 based on 49 reviews .